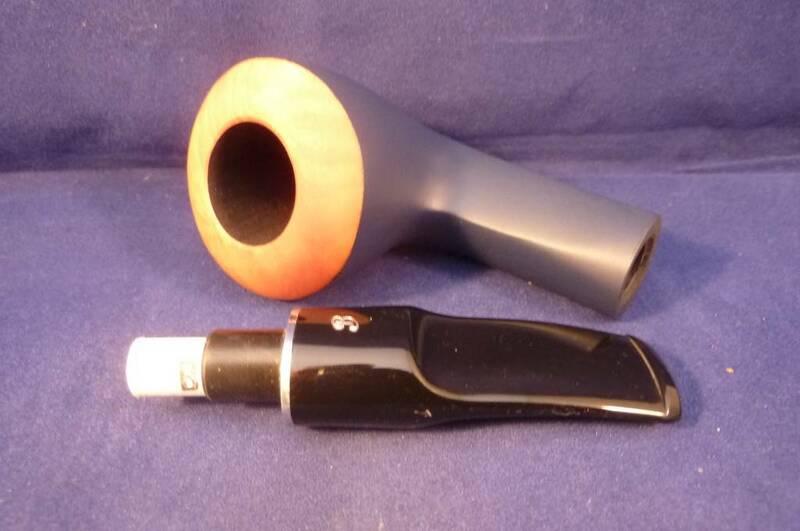 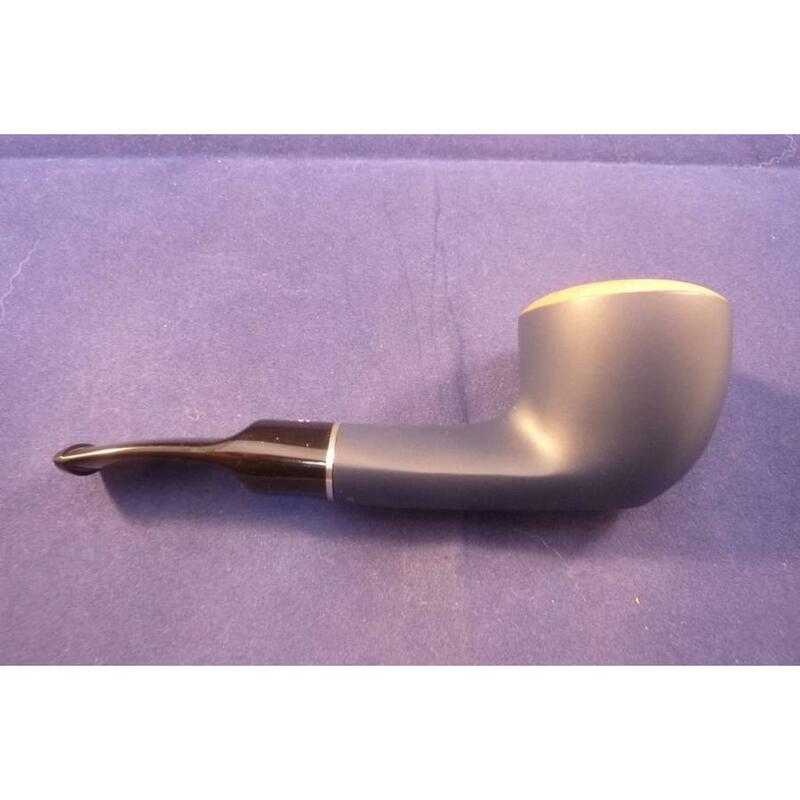 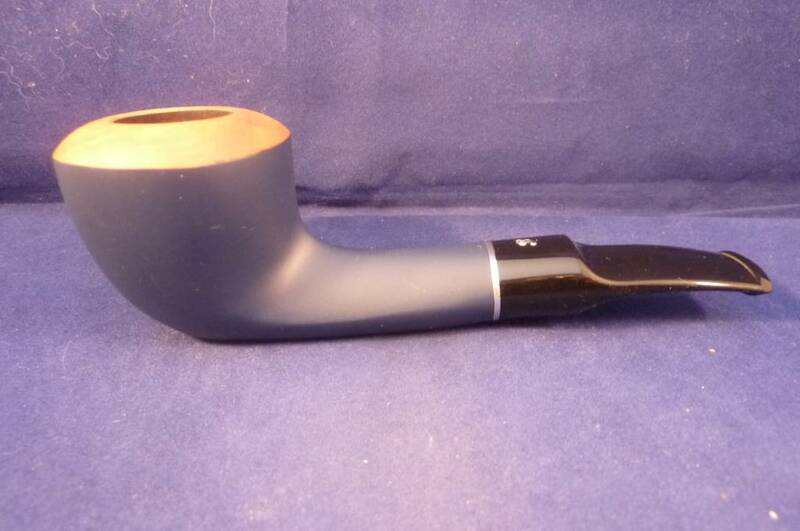 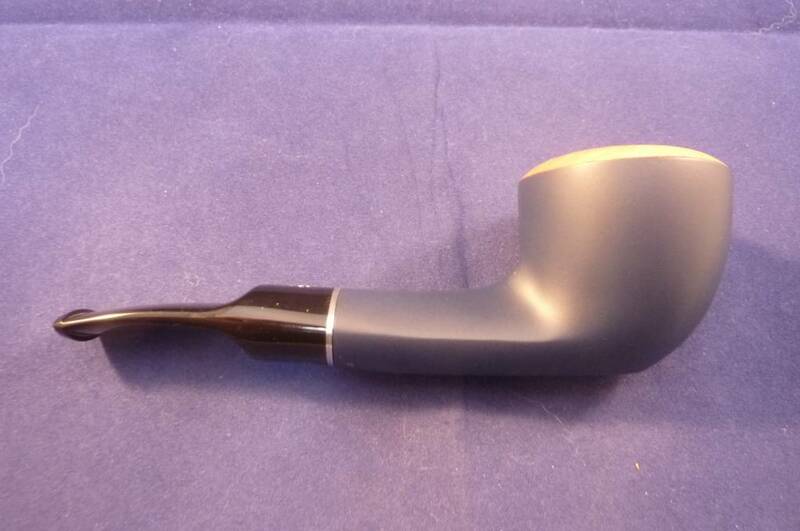 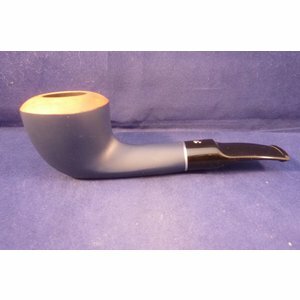 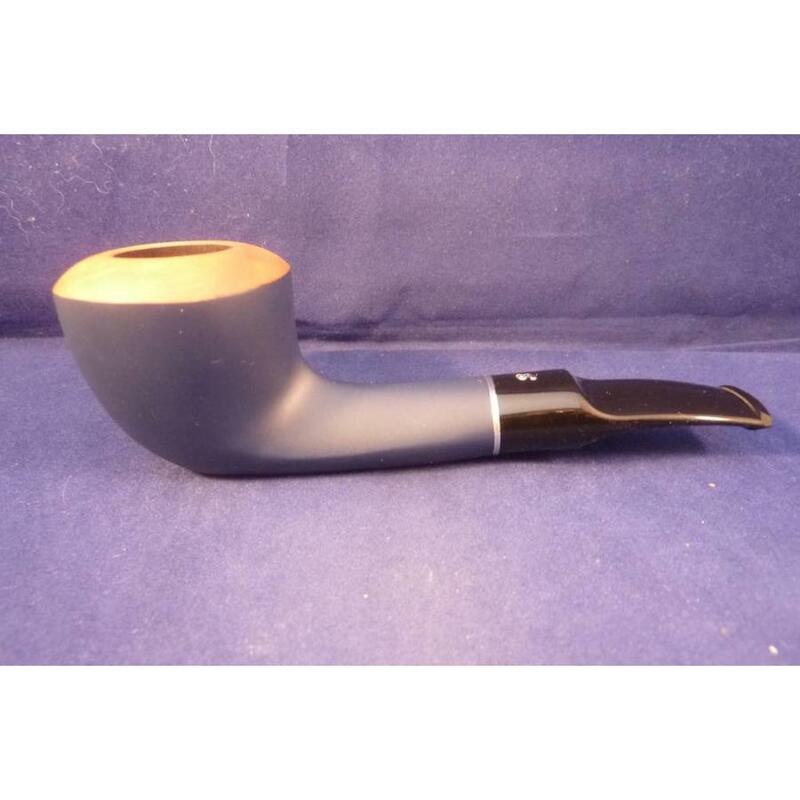 Smooth matte navy blue briar pipe with a natural top made in the Netherlands by Gubbels. 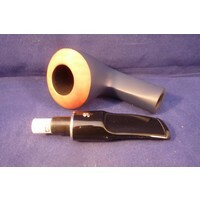 Acrylic mouthpiece with silver coloured ring, 9 mm. filters.